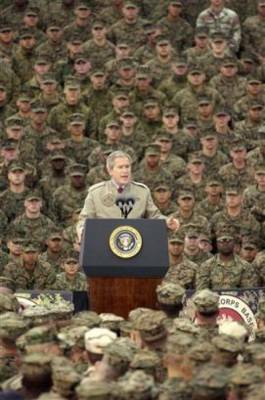 Bush dons fake uniform. What are his handlers thinking? This is getting wierd.